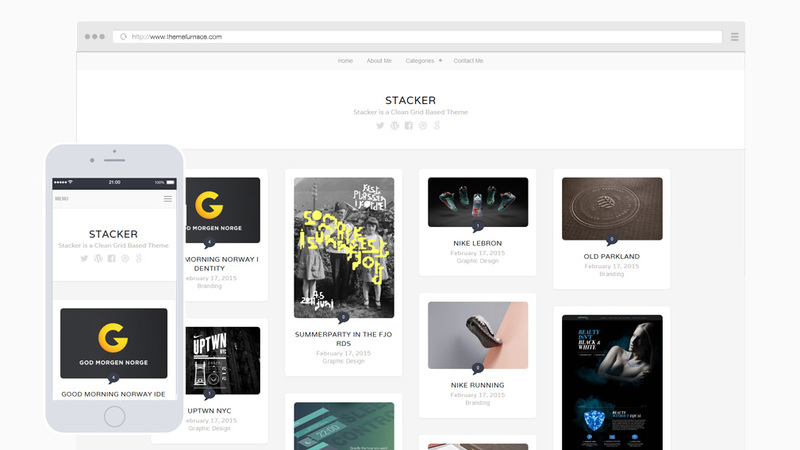 Stacker, is one for Photographers, Artists, Designer and anyone who wishes to create an elegant gallery of images. You can choose how many columns of images to display on the homepage and it will act responsively and scale to any screen size. The homepage uses a masonry style layout and lets you add images of any size and they will be resized and the layout will fit them accordingly. Use the customizer to edit your theme colors, choose the number of homepage columns, upload background images and so on.